Apple has returned to the head of the class. The tech titan has regained its long-running ranking as the world’s most valuable brand after its three-year reign was interrupted by Google last year. 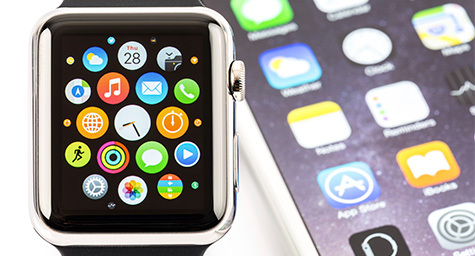 But with this year’s launch of the Apple Watch and strong iPhone sales, Apple regularly exceeded earnings expectations and its brand value soared by 67% to reach $247 billion. This leap let Apple reclaim the top spot in the annual BrandZ ranking of most valuable brands by marketing research firm Millward Brown. Mashable.com posted the top 10 brands from this prominent list of powerful leading brands. The rankings were calculated from market data and millions of consumer surveys. Interestingly, tech companies dominated the list of leading brands. Apple took the top spot, followed by Google, Microsoft, and IBM. And the study indicated that their influence is likely to grow. In fact, falling just below the top 10 were Amazon, Alibaba, and Facebook. Online marketplaces Amazon and Alibaba led the list for the retail industry, while Facebook was the fastest-growing brand with a 99% leap in value due to its smart acquisitions and friendly user experience. Apple: valued at $247 billion, a 67% increase from last year. Google: valued at $173 billion, a 9% increase from last year. Microsoft: valued at $116 billion, a 28% increase from last year. IBM: valued at $94 billion, a 13% decrease from last year. Visa: valued at $92 billion, a 16% increase from last year. AT&T: valued at $89 billion, a 15% increase from last year. Verizon: valued at $86 billion, a 36% increase from last year. Coca-Cola: valued at $84 billion, a 4% increase from last year. McDonald’s: valued at $81 billion, a 5% decrease from last year. Marlboro: valued at $80 billion, a 19% increase from last year. .MDG Advertising, a full-service advertising agency with offices in Boca Raton and New York, NY, is one of Florida’s top branding firms. MDG’s core capabilities include print advertising, direct mail marketing, branding, logo design, creative, digital marketing, media planning and buying, radio and TV advertising, Web design and development, online video advertising, email marketing, content marketing, social media marketing, and SEO. To learn about the latest trends in advertising and branding, contact MDG Advertising.